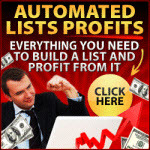 This Plugin Generates Amazon Commissions On Auto Pilot! Blogging is one of the most effective ways to generate free traffic these days. Google loves WordPress blogs and with very little effort you can easily rank high and get loads of traffic to your blogs. But as you have probably discovered already… Converting your visitors into clicks, leads and sales can be extremely hard. You can have thousands of visitors to your blog. But if nobody buys anything, that’s just another pretty number. Internet users are savvy these days. They visits lots of sites on a daily basis and they have seen all the “tricks” already. They also tend to get annoyed when you put ads in front of them, especially if the ads prevent them from consuming your content. Generally your visitors have become really good at separating your content from your ads – and unfortunately for you, ignoring the latter. 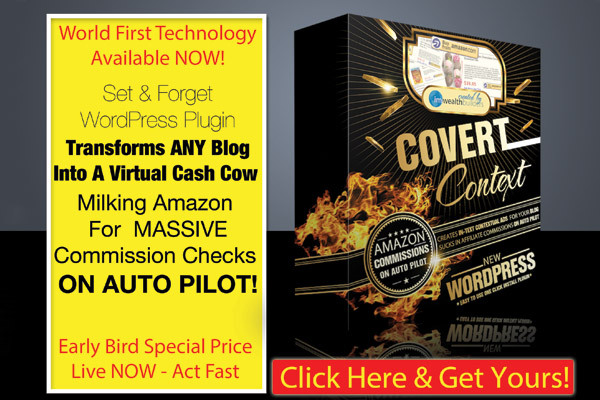 But now there’s finally a way to grab your visitor’s attention and have your blogs generate Amazon affiliate commissions on complete auto pilot, with our new Covert Context plugin! Two of our very good internet marketing friends Brad Gosse & Mark Lyford have both published their own books. Both the Chronic Marketer from Brad and Rebel Entrepreneur by Mark are available from Amazon. As you can see our new Covert Context plugin, combats ad blindness by serving contextually relevant ads in your content and in a way people wouldn’t instantly dismiss as ads – And you would of course earn an Amazon commission every time someone buys a product from one of your Covert Context ads. 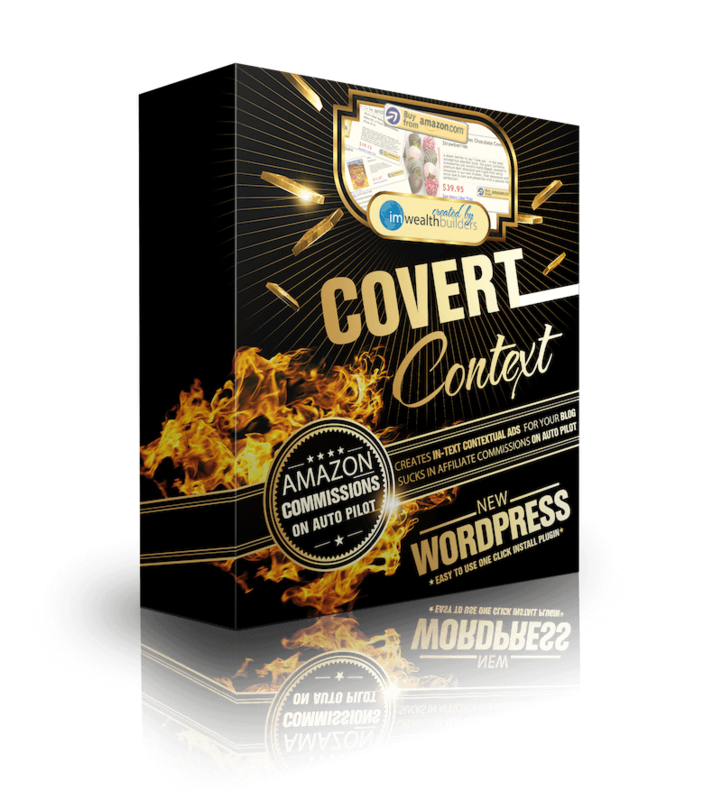 Click on the banner below to watch the demo video of Covert Context and discover how you can put these ads on your blog and start earning unlimited Amazon commissions today. Posted on April 17, 2013 February 26, 2015 Author Soren JordansenCategories IMWB Products, PluginsTags copy, covert, covert copy traffic, email, paste, social traffic, traffic6 Comments on You’re Currently Missing Out On 706 Of Your Potential Social Traffic! Why Pop Up Blockers Were The Best Thing That Ever Happened To Pop Up Advertisers! Yeah I know that title seems really weird… If most pop-up are being blocked how on earth can they be effective in advertising? Back in the early days of the internet pop-up ads were the most common way of monetizing a site. It was horrible ineffective because everyone hated the pop-ups and would largely ignore them. The (not so clever) answer was to put even more pop-ups on your site in the old “if you fling enough %&#§ at the wall, some will stick” strategy. I’m sure you remember those days – when you could visit a website and get stuck in a vicious loop of pop-ups that would not stop until you gave up and restarted your computer. This of course only made people even angrier and they started looking for solutions… pretty soon pop-up blockers were standard issue in every internet browser. So why was this actually good for pop-up advertisers? You’d think it would be the death of the pop-up? It wasn’t – and that’s due to one of the most powerful emotional triggers in every human being… the fear of missing out! What happened was that instead of getting all the pop-ups and just closing them without looking and thinking… Now your browser would warn you that something had been blocked and more importantly give you the option to unblock it. I bet that when you get the pop-up blocker notice in your browser your cursors goes directly up to that little yellow bar to see what was blocked – we all do this, because we don’t want to miss out on something that could be important or beneficial to us. So the end result was that after the invention of the pop-up blockers, the pop-up ads actually got more views than before (and by that I mean people actually looking at them rather than just closing them). There is a very powerful marketing strategy hidden in this paradox and that gave birth to our Covert Action Bar plugin. However the “fear of missing out” still very much applies. Even more importantly, for the past 10 years all the big browsers like Internet Explorer, Firefox, Safari & Chrome have been conditioning your visitors on what that little yellow pop-up blocker bar means (and that you can interact with it). This is what the Covert Action Bar plugin mimics. With it you can put a bar like that on your blogs and because of this conditioning and the fear of missing out it’s guaranteed to draw your visitors attention and clicks. But rather than actually serving (or blocking) a pop-up, you can link the bar to anything you want, which of course is far more effective. You should be seeing a demo of the action bar at the top of this page – and very likely it drew your attention way before you got to this part of your post. It will do the same for your own visitors. 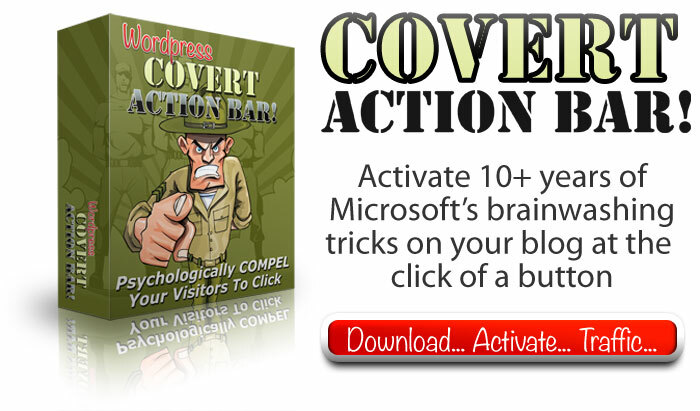 With people going increasingly ad blind and ignoring banner ads on your blogs – using something like Covert Action Bar is one of the most effective ways to get clicks and sales from your blogs. Both ad forms are among our most effective and as you can see on this blog – you can use both plugins on the same blog. And you can configure them so that the messenger ads only show on some pages while the action bar shows on others. But for now click on the banner below (or the action bar at the top of this page) to check out Covert Action Bar and see what it can to for your blog – and more importantly for your bank account! Posted on March 18, 2013 February 26, 2015 Author Soren JordansenCategories PluginsTags covert, Covert Action Bar, covert messenger, plugin, pop up, pop-up. blocker3 Comments on Why Pop Up Blockers Were The Best Thing That Ever Happened To Pop Up Advertisers! What Is The Most Effective Ad You Can Put On Your Blogs? You might be using one of our themes like Covert Social Press, Covert Video Press or Covert PinPress – or any other WordPress theme for that matter (like the fairly standard one I’m using here). Whatever you are using you are probably wondering what the most effective way of monetizing your WordPress blogs is. Our themes are great for easily building nice looking sites with good content, and for getting tons of social traffic to your blogs. But at the end of the day we are all marketers – and our goal is to make money from our blogs – after all there is little point in getting thousands of visitors if none of them click on, or buy anything from your blog. So what are the most effective ads you can put on your blogs? I already know the answer – so this post is a little experiment to see if you can spot it too. You will notice that I have the standard banner ads on my sidebar (like most bloggers do). They do get clicks… but the clicks are few and far between. Most people have simply gone banner blind – they expect to see ads on your sidebar and their mind simple shuts them out. That’s why so many people fail miserably at making money from their blogs – they only user banner ads that quite frankly belongs in a decade long past. Very likely the first ad you noticed here on this blog was the “Facebook Messenger” chat that is dancing up and down to your right (and played a sound when it appeared the first time). That is because we have all been so conditioned to respond when someone sends us an IM message. It draws our eyes straight away and we read the message. In terms of advertising that is half the battle won already! We simply took the strategy with us into internet marketing (and other niches), because we had a hunch that these messenger ads would out perform anything else there too. And they did… by miles… Messenger ads are by far the most effective ads you can put on your blogs in any niche simply because they get attention immediately and almost forces people to read the message and click on them. 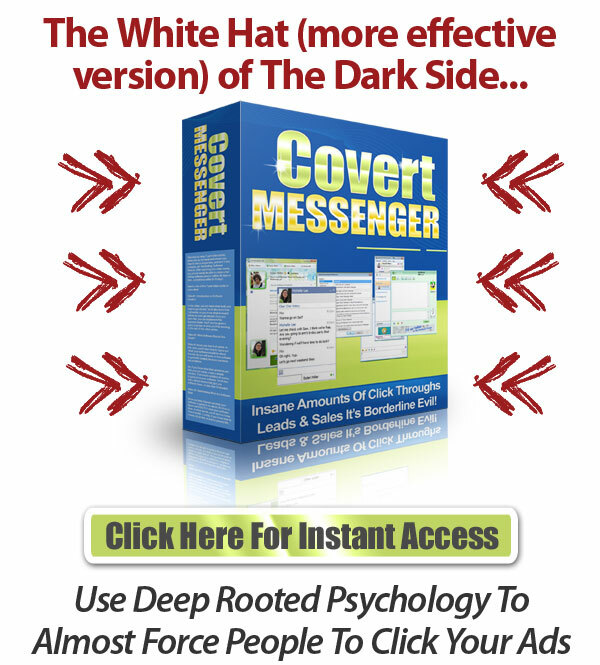 With our Covert Messenger plugin you can easily add these messenger ads on your own WordPress blogs and it’s the perfect strategy for monetizing the sites you have built using any of our Covert themes. You may also happen to have noticed the pop-up blocker style ad appearing at the top of this blog. For some people that is the first they notice (you may be one of them). As you can see on this blog – you can use both plugins on the same blog. And you can configure them so that the messenger ads only show on some pages while the action bar shows on others. But for now click on the banner below (or the messenger ad to the right) to check out Covert Messenger and see what it can to for your blog – and more importantly for your bank account! Posted on March 16, 2013 February 26, 2015 Author Soren JordansenCategories PluginsTags covert, Covert Action Bar, covert messenger, im wealth builders, messenger18 Comments on What Is The Most Effective Ad You Can Put On Your Blogs?